Former North Vietnamese Army Lieutenant and photographer, Doan Cong Tinh, 72, grins widely as he describes using his boots as ad hoc developing tanks while processing film in tunnels dug by fellow troops during the war. Speaking through a translator in Vietnamese, he further explains that “the officer’s boots were called ‘Buffalo Boots’, were leather and Russian-made, and thus superior to the Chinese canvas boots worn by the lower-ranked troops,” which would not have contained the developing chemicals. Decades later and half a world away, he sits with me at a cafe in Perpignan, France where those photographs, and dozens by three North Vietnamese colleagues are being exhibited at Visa Pour L’Image, the premier international festival of photojournalism now in its 26th year at this seaside town on the Mediterranean. The images are remarkable not just for the way they were made, but also because they are being seen at all by viewers outside of Vietnam. The work was first discovered in its entirely by an outsider last year when French photographer Patrick Chauvel, who was in Hanoi working on a film about war photographers, was shown the collection. The archive had been organized by North Vietnamese government and includes work by North Vietnamese journalists and photographers. In the 1950’s and 60’s as the turmoil and violence increased, Doan’s family, which lived in central Vietnam—but still north of the DMZ—became aligned with the government in Hanoi. He was an only son and therefore exempt from the draft, but at 19, joined the army anyway and quickly rose through the ranks. 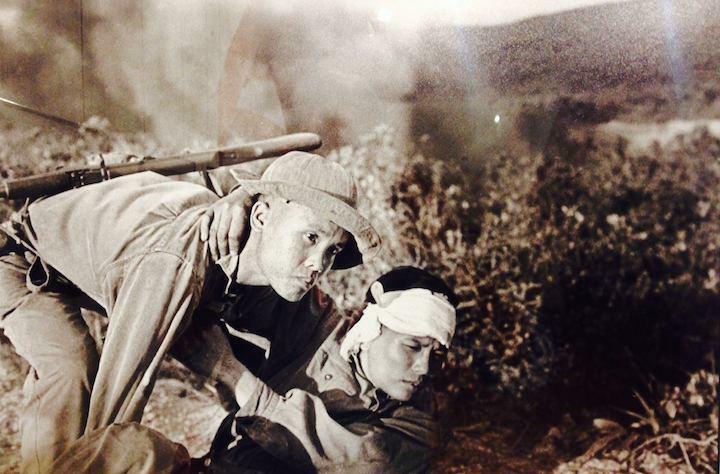 While his training was in artillery, as a sideline he began writing stories and taking pictures for military newspapers. Photography soon became his passion and his images, which display a rare combination of artistic ability, human sensitivity and bravery, stand up alongside those of the better photographers working on the other side of the lines, and soldiers who chronicled the horrors of war from the side opposite of what is usually viewed by Americans or Europeans. 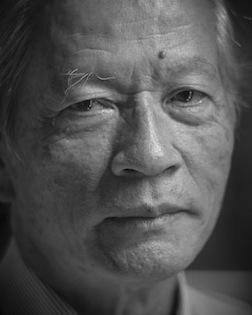 His smile fades as he tells of the emotional trauma from nearly being killed three times, from the relentless bombing from US planes, from the countless deaths he witnessed, and how he left his career in the army shortly after the war to “get some distance.” He became an archivist and lives in Ho Chi Minh City with his wife who is an army doctor. Doan describes carrying both an AK-47 rifle and Russian Kiev 35mm camera and how he had a limited supply of Chinese, Russian and German film, depending on what was available. There was never enough, often forcing him to trim a few frames from a roll still in his camera and develop the small strip separately. He hopes that those looking at the pictures today “take away the lesson that we all need to learn to be together. What happened during the war is deeply rooted in my mind, I still dream about it.” he says, his eyes now red and misting. “Today, when I see the pictures, all the scenes come rushing back towards me.” Photos by David Butow except as noted. Visa Pour L'Image, the International Festival of Photojournalism, continues at Perpignan, France through September 14. Information. 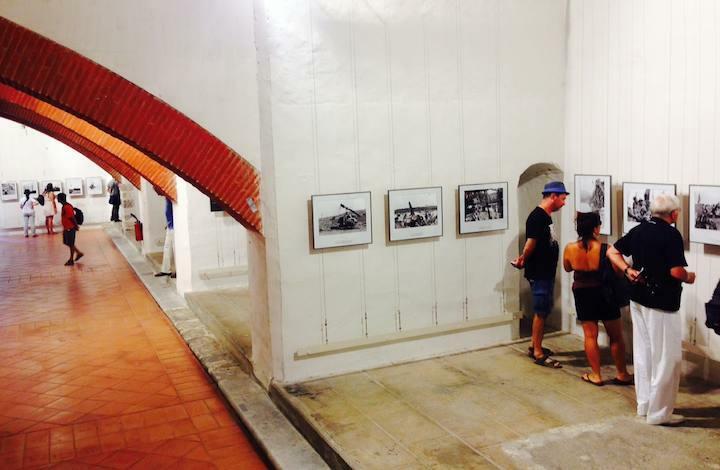 The work of Doan Công Tinh is included in the exhibition Ceux du Nord, Photographers of the North, together with that of Chu Chi Thành, Maï Nam and Hua Kiem, at Couvent des Minimes. This exhibition is organized as part of the France-Vietnam Year, Nam Viet Nam Phap, 2013-2014 . Information.